A dark ambient journey into cold dimensions. Experience epic, cinematic soundscapes as you travel into uncharted realms. SKU: M2017-14. Categories: CD, MAIN STORE, RELEASES. Tags: Dark Ambient, Minotauro Records. A sound. A vision. A key. 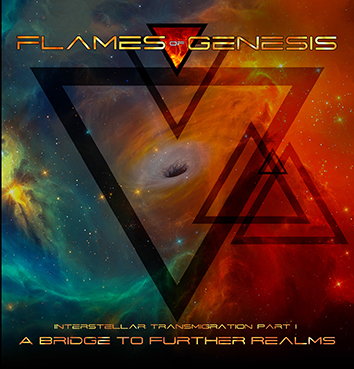 Flames Of Genesis open the portal to another dimension with Interstellar Transmigration Part I: A Bridge To Further Realms. The voyage is translated through cold ethereal cinematic dark ambient soundscapes, conveying experiences of journeys across vast distances, crossing the border between what is known and unknown, transcending all limits and boundaries.